“He’s good either way,” a source close to Gov. 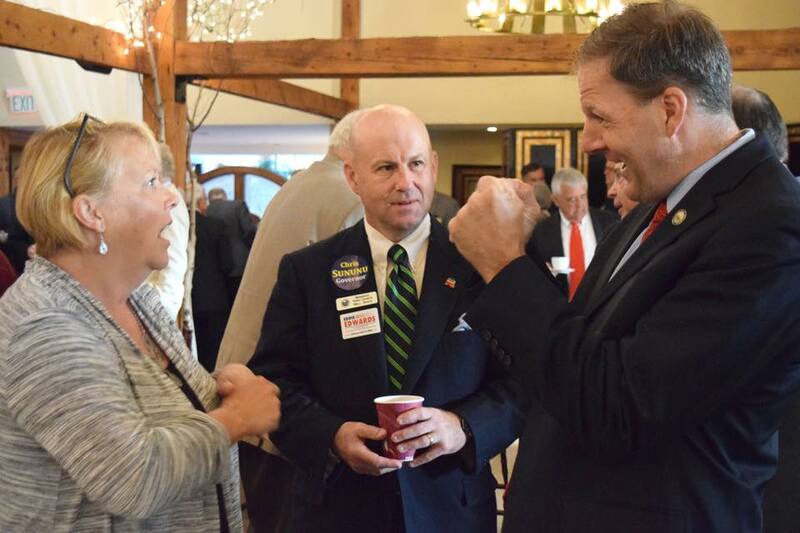 Chris Sununu told NHJournal at the GOP Unity Breakfast just hours before the legislature successfully overrode several of the governor’s vetoes–the most high-profile being Sununu’s veto of subsidies to a handful of biomass plants around the state. NHJournal has reported extensively on the math and science of biomass subsidies (they’re expensive, they drive up electricity rates and biomass is lousy for the environment), but the politics could turn out to be entirely different. There was a telling moment during Sununu’s speech Thursday morning when he mocked the fact that Democrats brag about not accepting campaign contributions from corporations. “Of course you don’t…because what business WOULD GIVE MONEY TO YOU?! Are you nuts?” The immediate reaction from New Hampshire Democrats was to say this proves Gov. Sununu is a lackey of his corporate masters, etc. They’re conceding his point, and presenting it as a negative. But aren’t the essentially saying that Sununu is on the side of New Hampshire businesses and jobs…and Democrats aren’t? That business owners are fans of Sununu, which is why they support him? As opposed to Democrats, who they don’t? If you were running for office in New Hampshire, which side with you want to be on? Gov. Chris Sununu is ready to fight! The same is true with the issue of crime. Yesterday the legislature overrode Sununu’s attempt to keep criminals in jail longer. Yes, the issue of drug treatment for criminals is more nuanced than that–but if you asked the average guy at the Red Arrow Diner if he’s for or against getting more convicts out on the streets, with or without drug treatment, who do you think he’d vote? And the death penalty is hardly a 2018 hot button issue. But isn’t the winning side of that debate, however modest the debate itself is, the Sununu side? Is there any data that shows Granite Staters really want to option of the death penalty taken away? Or do they share Sununu’s view–better to keep it for cop killers and the worst offenders, just in case? There is some buzz among NH political insiders that the Sununu administration’s legislative losses on high-profile votes– from Right-To-Work to Marsy’s Law to the sales-tax fight and now on biomass–feed the narrative that the governor and his team aren’t handling the nuts and bolts of governing as well as they should. “Eventually, he’s going to pay a price,” one Democratic insider told NHJournal.com. Is he? Do voters really follow the process that well? Or are they more interested in whose side a politician is on? Maybe the slogan “I’m Molly Kelly and I’m an experienced Concord insider who’s going to be really effective at getting the legislature to raise your taxes and electric rates!” is a winner.